Here, eight transporting rum cocktails. When it comes to rum drinks, chef Jonathan Waxman eschews the typical mai tai and piña colada and instead opts for a refreshing mix of Cointreau, Mount Gay rum, orange, grapefruit, a dash of soda and bitters with lemon zest and vanilla bean. “It takes me immediately to a tropical island,” he says. Here, eight more transporting rum cocktails. In this variation on a classic Indian sweet lime juice drink, Padma Lakshmi adds dark rum, cilantro and ginger, which gives the cocktail a little spice. This recipe is perfect for a party. To ensure a large batch stays chilled without becoming watery, serve it in a punch bowl set in a larger bowl of crushed ice. 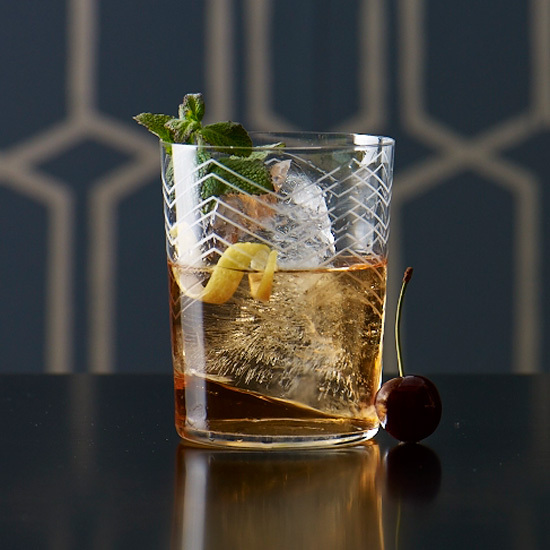 The Rum Daisy appeared in a 1930s book from the famed bar La Florida in Havana. Mixologist Richard Boccato dubbed this tropical drink after the ancestral name for St. Lucia. In this festive tropical cocktail, rum is mixed with lime and passion fruit juices, then topped with vivid blue curaçao. Eric Ripert invented this spicy-sweet rum drink on the spot in Puerto Rico. Almond-flavored amaretto brings out mango’s fantastic fruity flavor in this vibrant drink. This creamy cocktail is named after the late timbale-banging band leader Tito Puente, who popularized Latin music around the world. Aged Dominican rum gives it terrific depth.